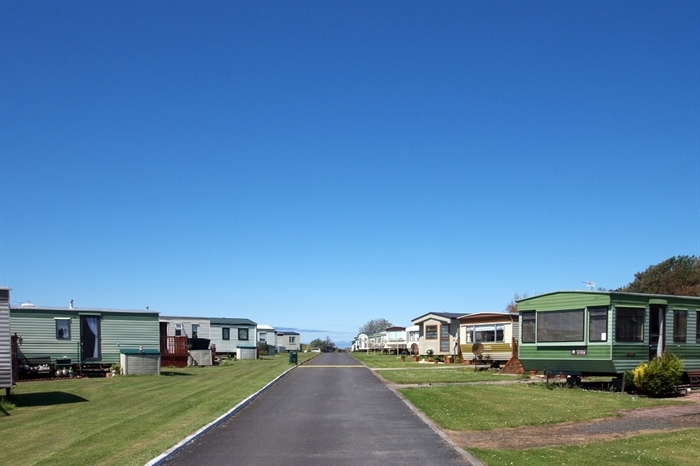 Turnberry Holiday Park is small and tranquil, but spectacularly located just 300 metres from the nearest beaches, in the heart of rural parkland and close to many historic attractions. 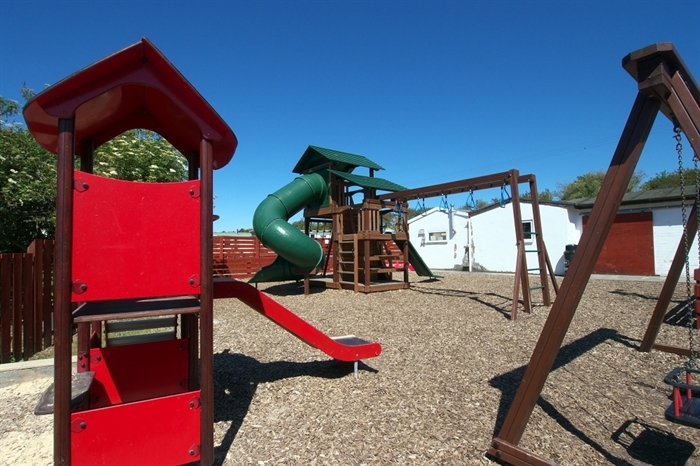 With a wealth of things to do on site, Turnberry Holiday Park is the perfect destination for families and groups. It’s spectacularly located in Ayrshire, just 300 metres from the nearest beaches. 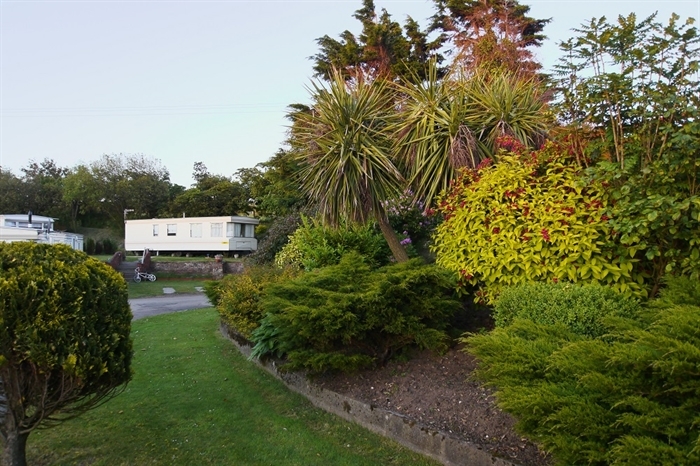 We have a range of self-catering caravans to choose from and each is modern, comfortable and fully equipped. There’s a restaurant and bar on-site which regularly hosts live music and evening entertainment. Other facilities include a small spa and sauna, an outdoor play area, amusement arcade and a brand new heated indoor swimming pool. Free Wi-Fi is available in your caravan and in the bar. Choose from three types of caravans or a self-contained chalet with three bedrooms, sleeping up to six. Luxury is the top-of-the range model; it’s spacious and stylish with two or three bedrooms, central heating, a TV with DVD player and a free standing dining table. Original and Comfort caravans both offer great value for money and they have a choice of two or three bedrooms. 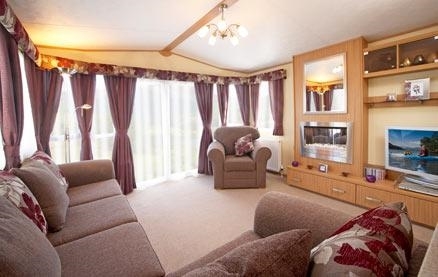 Each caravan has a Freeview TV, bathroom with shower and wash basin, electric fire and fully equipped kitchen. High chairs, cots and bed guards are available for just £7 per break and £12 per week. Pets are welcome for £35 per week or £18 per short break if you're staying in the Original two bedroom caravan. Guests are given their own parking space alongside the property. Please note that all caravans are non-smoking. Beds are made up with fresh linen for your arrival. Rich in Scottish history, Ayrshire is full of castle ruins and ancient tower houses throughout its stunning coastal and countryside backdrop. The area has a number of stunning beaches and the region is renowned for its quality of food including fresh fish and seafood. The main town of Ayr is 18 miles from Turnberry with its wide range of shops, bars and restaurants alongside fantastic golf courses, play centres and crazy golf courses. Unspoilt stretches of beach and countryside surround the park making a tranquil and unique destination for your holiday. Short breaks are available throughout the year with 3 night breaks beginning on Fridays and 4 night breaks on Mondays. 7 night breaks have changeover days of either Friday or Saturday.